Station Hollywood: Happy birth anniversary of Pran sahab. Happy birth anniversary of Pran sahab. 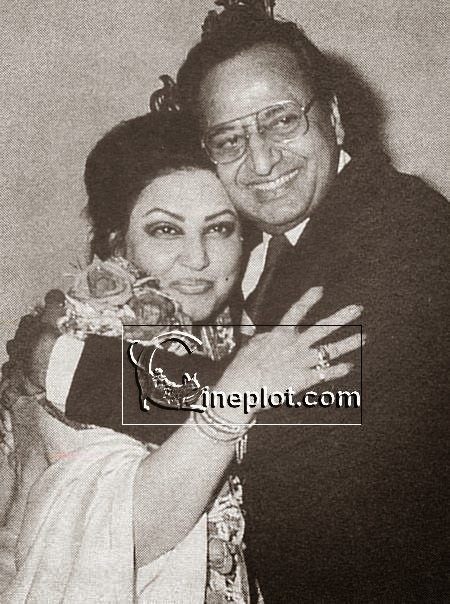 Happy birth anniversary to Pran. The viewers of bollywood films wish happy birth anniversary to Pran Sikand, the legendary actor on 12th February, 2017. He was one of indispensable personality in bollywood films without whom most of the films of the 50s and 60s could not be thought about. He also was a big star who was as popular as an antihero as the leading stars of 50s and 60s including Showman Raj Kapoor and Tragedy King Dilip Kumar. He died last year but actually did not leave the hearts of numerous admirers of Bollywood films. Pran had acted in more than 300 films in his career which spanned over 60 years. He was a notorious dacoit in Raj Kapoor’s Jis Desh Me Ganga Behti Hai, who was reformed and persuaded to surrender before the police at the end of the film. He hammered Dilip Kumar all along the film Dil Diya Dard Liya, not knowing his identity. It was later known that Dilip Kumar was the king of the princely estate after the locket in his body was discovered. Dilip Kumar forgave him even after knowing that his affair with Wahida Rehman never blossomed into marriage due to Pran only. Among romantic songs of Rafi and Lata like “sawan aye ya na aye”, “dilruba main ne tere”, “koi sagar dil ko behlata nahi”, Pran kept a balance with his villanish pursuits. In Ram Aur Shyam, Pran tortured one of the Dilip Kumars who played the role of his brother-in-law. When Dilip Kumar’s twin brother came to his wife he took revenge against the evil deeds of Pran. Both the sequences when Pran whipped Dilip Kumar and when Dilip Kumar whipped Pran remained sensational. The film was serio-comic in nature with Dilip Kumar playing a double role for the first time in Ram Aur Shyam. In the mid-60s, Pran changed his image by playing positive roles like the one he played in the film Upkar. In that film he played the role of a handicapped person but he was an observer who witnessed the good deeds of Manoj Kumar who was a farmer and the bad deeds of his own brother played by Prem Chopra. Pran’s lips in Manna Dey’s songs “kasme wade” is still remembered by cinematic audience today. Pran was sublime in most of the hit films of the 60s like Shammi Kapoor’s Raj Kumar, Kashmir Ki Kali, An Evening in Paris, etc., Joy Mukherjee’s Love in Tokyo, Phir Wohi Dil Laya Hoon, Biswajeet’s Mere Sanam, Rajender Kumar’s Ganwar, Raj Kumar’s Maryada, Manoj Kumar’s Gumnaam, to name a few. In the 70s he even matched himself with the action heroes of the other generation like Dharmender and Big B. His performance in Big B’s film Zanjeer in the role of a Pathan requires special mention. He gave excellent lips in Manna Dey’s song “yari hai imaan mera yaar mera zindagi” in the same film. In Amar Akbar Anthony, he was the father of Big B, Vinod Khanna and Rishi Kapoor and he faced the evil operations of Jeevan and his men all along the film. He kept his fitness to such an extent that in action sequences, he never looked out of place in a film where Big B, Vinod Khanna who were much younger than him showed their own skills. Pran continued his villainish performances in films of 80s including Dilip Kumar’s Duniya and Big B and Rajnikant’s Andha Kanoon. With notable actors coming in bollywood industry in the 80s like Amrish Puri, Danny, Paresh Rawal, Kader Khan, Anupam Kher, etc., Pran slowly faded away from the industry. By that time he had performed in more than 300 films. Viewers remember him for his unique style of dialogue delivery, unique mannerisms and fantastic body. He died few years back making everyone sad. His viewers pay respect to the old actor on his birth anniversary who had already received lifetime achievement award from Filmfare for his unique contribution to bollywood cinema. Both Tabu and Ajay Devgan did well in Drishyam. Happy birthday to Mr Perfectionist Aamir Khan. Happy birthday to Shreya Ghoshal.